The Renner family has been in the well drilling business since the turn of the last century. It is now in its fifth generation. THE MAX RENNER WELL CO. In 1911 Leslie Max Renner, Sr. moved to St. Louis Park. 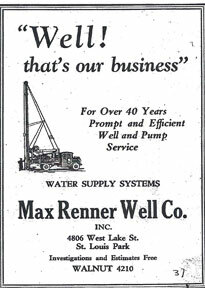 Max had come from a family of well drillers from Germany and had established the Max Renner Well Company in south Minneapolis in 1895. By the turn of the last century, the Park was growing and each new home and business required its own well. Max moved his business west when he found that he was spending too much time traveling back and forth with his horses and wagons. In December 1918, Max Renner, Sr. and his 19-year old son Percy were killed at 44th and Wooddale by the high speed Excelsior Street car. It was a very foggy morning and a newspaper account reported that the road and the streetcar rails were wet. 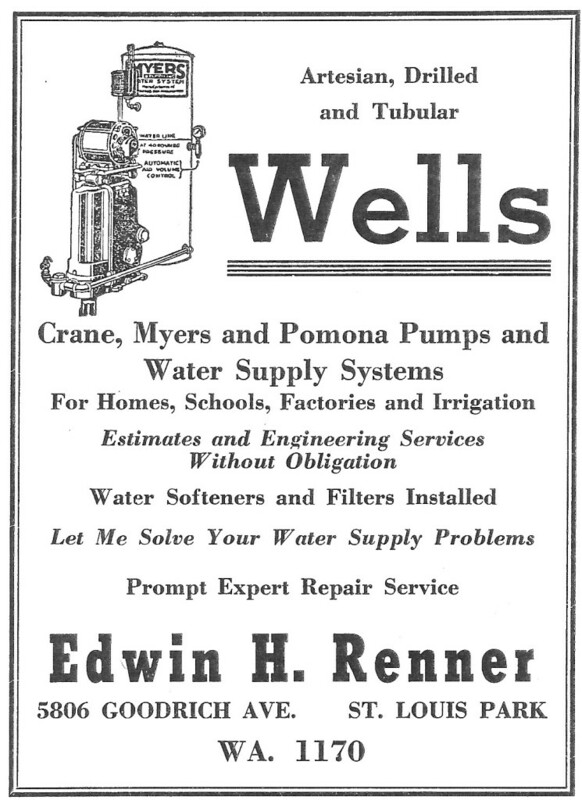 At his death, sons Edwin H. “Ed” Renner (born 1893), William and Leslie Max Renner (born 1895) took over the business. The three were brothers by dint of the fact that they had the same mother and their mother married (ultimately three!) brothers. In 1933 E.H. and Bill Renner left the Max Renner Well Co. and it became owned by Leslie Max Renner and then by his son Les. 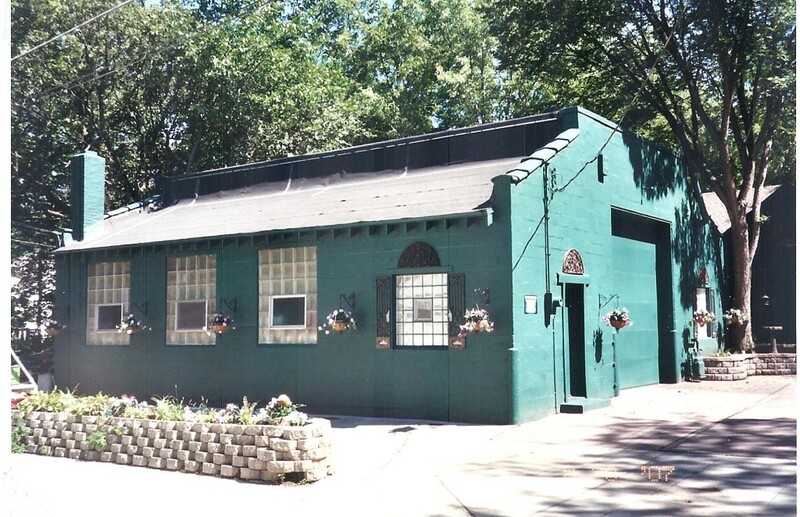 Les moved from South Minneapolis to a home on Yosemite and then to 4800 Minnetonka Blvd., made famous as the site of Tucker’s Treehouse. That house was built in 1926, perhaps for the Renners, perhaps not. Behind the house, at 4806 Minnetonka, sits the garage, which has been there at least since 1937, judging from the ad above. Below is a picture of the garage at 4806 Minnetonka, taken in 2007. The building is landlocked, with access only from an alley off of Princeton Ave.
After Les married and had two daughters, he moved to the house at 2939 Princeton, which was built in 1951. Les moved the business to a garage near Nordic Ware and then sold it to his brother-in-law in the early 1960s, who moved it to Hopkins. Ed and Gertrude had a daughter Marion and sons Thomas T. (Tom) and Edwin Richard (Eddie). In 1947, Eddie and Tom joined the company when they returned from the Service. An ad from the 1947 Park Directory shows a proud father at his desk and his two strapping sons standing by one of their trucks. In 1948 a new building was built at 7700 Highway 7 at Sumter. Ed and Gertrude lived above the shop. Tom’s wife Emeline (“Kitty”) contributed the “Knittin’ With Kitten” column in the Dispatch @ 1959. Ed and Gertrude passed away in 1965. Tom Renner retired from E.H. Renner and Sons in 1981 and passed away in 2011 at the age of 91. Eddie retired in 1983 and passed away in 2003 at the age of 81. 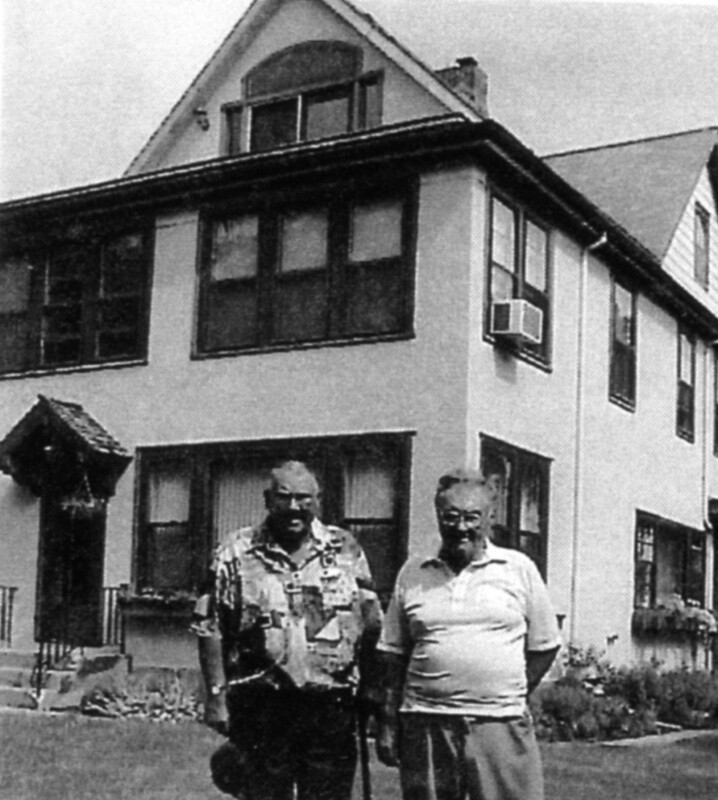 The firm is now owned and operated by the twin sons of Tom and Kitty Renner, Roger E. and Raymond T. Renner. It is the largest water well drilling business in the State in Minnesota. Also See Water and Plumbing.